This is a new cylinder barrel retaining stud as used on all Triumph 350, 500 & 650 twin cylinder models from 1968 or 1969 onwards (depending on model). 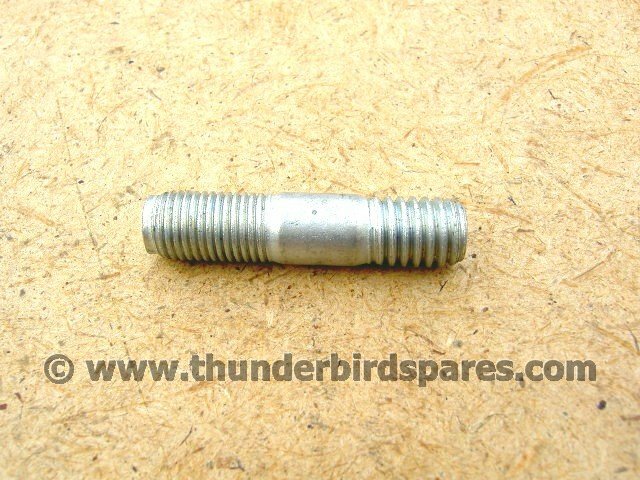 This is the short stud, normally there were six of these fitted and two long studs, but check your parts book as there is some variation. Original part number was 21-1921. Dimensions are 1-1/2" long, 3/8" diameter, UNF thread at one end & UNC at the other.